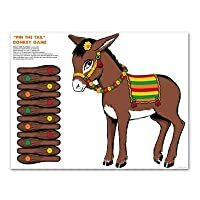 Beistle 66668 Donkey Game. 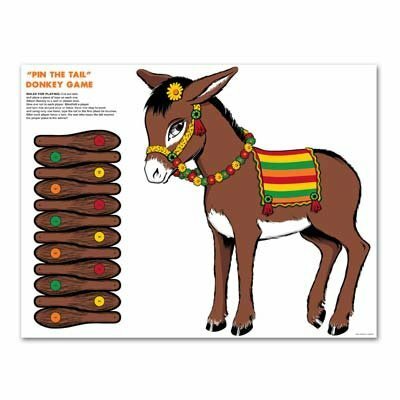 Have some fun and "Pin the tail on the donkey" at a birthday party! This game is a fun game for everyone to play! There is 1 mask and 12 tails included.